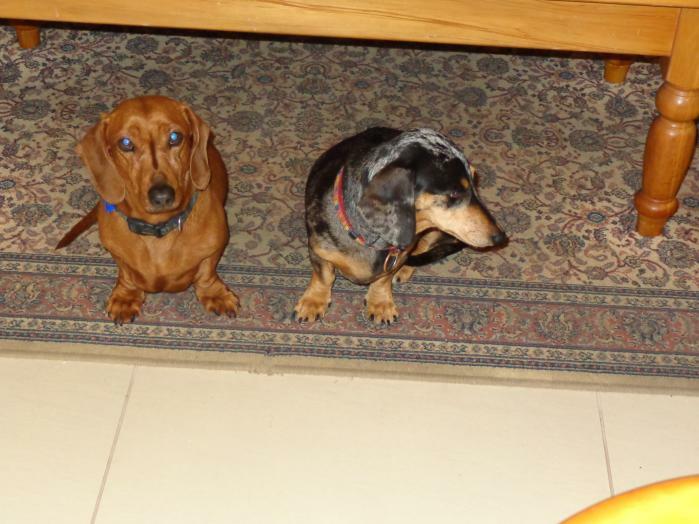 In Wakerley, Brisbane looking after Jock & Jess, Daschunds and Pepe, parrot. Our next house sit is in Hervey Bay. Owners said the dogs were uncomfortable around other dogs, when being walked. One day while walking, we came across a bull dog in the street. The male Daschund started to bark when approached, then the female started barking. The bull dog took off at a run. Further down the street, at a building site, one of the workers was cracking up at the bull dog being run-off by the Daschunds.